Healthy Lifestyle Concept. 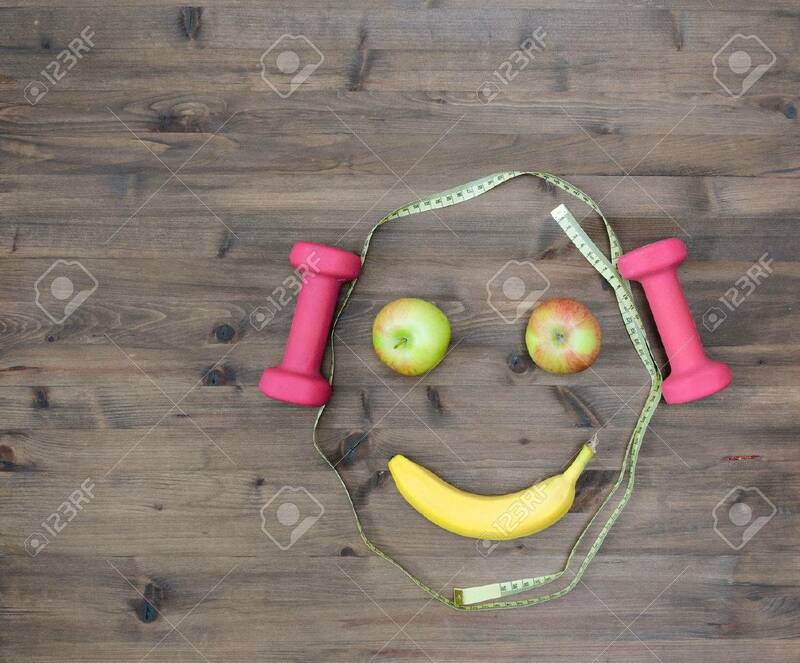 Colored Apples Measuring Tape Dumbbells Banana Look Like Face On Wooden Table 免版權照片，圖片，畫像及圖片庫. Image 47751786.